Tim Thorpe knows that a man has to know his limitations, but at age 60, Tim’s boundaries are far-reaching. For the last 15 years, Tim has pumped out ten-to-50 mile rides with fellow cyclists and once a year participates in a 100-mile bike ride through Washington County—the equivalent of a runner’s marathon. In good weather, Tim commutes to work by biking 15 miles each way from Williamsport to Hagerstown. 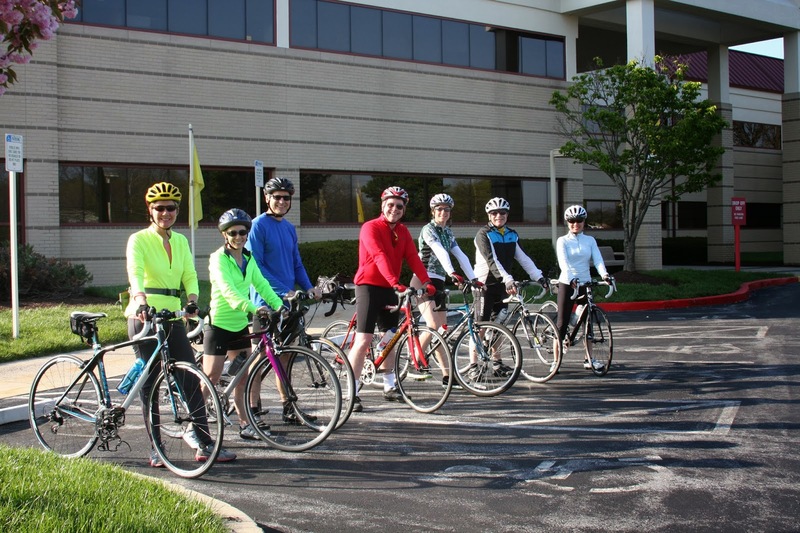 This spring, Tim took a cue from Meritus Health President and CEO Joe Ross and with the help of fellow biker Pam Peitz, launched a bike club. 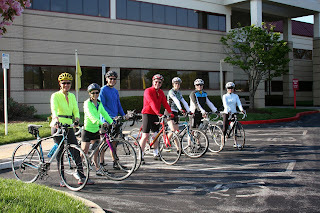 They led a group of employees on ten to 30 mile rides through the Washington County countryside. With the winter months here, Tim refuses to let up. He’ll replace his outdoor rides with weekly spin classes at the gym and at home. In addition, Tim augments his cardio training with weight lifting. “I consistently workout 30 to 60 minutes a day four to six times a week,” says Tim. To stay on track, Tim tracks his progress in a journal. As a busy member of the information services department, Tim believes in squeezing in exercise wherever and whenever possible. “Some people need team sports, but I’m a solo sport kind of guy,” says Tim. He likes running and biking because you can “just go and do.” Until recently, Tim has been biking more than running due to a back surgery several years ago. While he admits that rebounding from surgery was a major effort, he refused to let it bring him down. “As you get older, there’s always going to be some obstacle that gets in the way of exercising, but if you find a way around it, you’ll be better off for it,” says Tim. Tim’s running resurgence occurred over the summer months as he joined other Meritus Health employees in the Fit-to-5K club. The program transitioned Tim back into running, a sport he’s been committed to for 35 years. For the first time in five years, Tim ran for three miles in the Meritus Health Pumpkin Dash 5K run. By year’s end, he plans to run five miles and is currently participating in the newly-formed running club at Meritus Health. You have control of your time. Exercise is a matter of commitment to your health. With exercise, you have to get past the period of inertia. Once you do that, it’s just maintaining the activity, and that’s the fun part. Find what motivates you, but be willing to try new things. Tim never thought much of spinning until he participated in a United Way spinning session let by Joe Ross. Forgive yourself if you miss some workouts, but keep going. Make exercise a philosophy, not a past time.